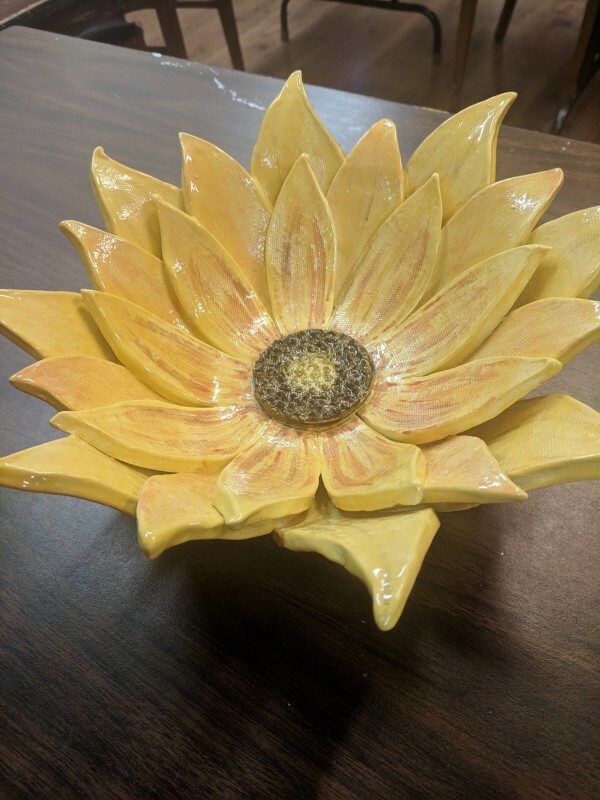 In this class, Vickie will take you through step-by-step to make beautiful clay creations including two and three-dimensional pieces. You will learn to slab roll clay, make coils, and use the “score and slip” method to attach pieces together. She will also be teaching hand stamping techniques, and tool usage. You choose what you want to make and Vickie will walk you through it. This is a relaxing class and a great place to give yourself the gift of creating. Feel free to bring a beverage of your choice and a nut-free snack. No experience necessary. Our pottery Studio is at 1 Church Street and is Handicap accessible. $99 Includes: instructions, clay, and first firing. Please call to preregister (860) 354-4318.